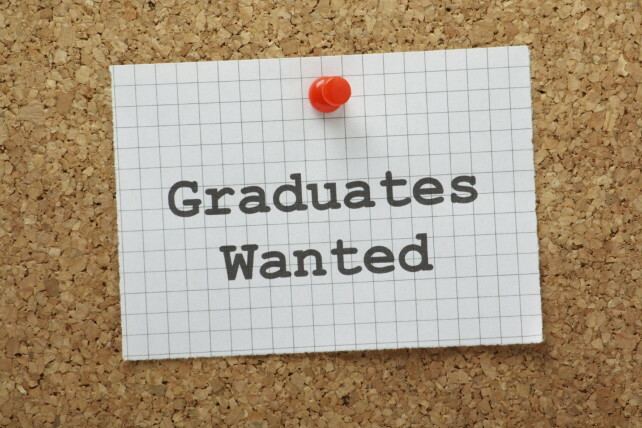 Just finished university and looking for jobs in Banbury? Having finished your studies, you rightly feel pretty chuffed; after all you now have a degree under your belt (hopefully!) You now feel you can take on the world with an ambitious spring in your step. There is no doubt that your degree is a significant achievement and should put in good stead for finding a great new job. It is important to stay grounded. A degree will look good on your CV however, it is by no means the only thing that an employer will be looking for. So, be prepared to work hard, in order to find yourself the right opportunity. First things first, what work are you looking for? This can be a really difficult question to answer once you’ve finished at university and now in the big scary world of work. Unless you have set yourself out a clear career path, it can be difficult to formulate what type of work you are ideally looking for. You must look for something that not only draws on your strengths, but also something that you are going to enjoy. There are several ways in which you can go about making things clearer for yourself. The best way to go about this is to read through a range of job adverts (an online job board is the easiest place to do this). It won’t be long before ideas will form in your head as to what to go for and you’ll soon have a shortlist of avenues of work to target. 1 in 4 jobs are filled through word of mouth! It is a surprisingly successful way to get yourself into work. Even if it starts with talking to friends and family, it is yet another way to improve your chances of finding something. People you know can sing your praises to the employer and before you know it, a hidden opportunity may miraculously appear! Alternatively setting up a linkedIn profile and connecting with prospective employers is another excellent tip. The key here though is to stay active. Setting it up, connecting with a couple of people and then leaving it won’t work. A dormant profile is very unlikely to reel in any opportunities for you. Signing up with one or several Recruitment Agencies is a must in your search. Remember to do your research. What are the best agencies in your area? Checking online reviews is a good way of finding this out. Signing up with an agency will give you the chance to talk through your skills and experience and really sell yourself to someone. An agency will assess your skills and experienced and fit you into roles that suit these. When working hard on your job search, together with a handful of good recruitment agencies, your chances of finding work will increase significantly. They are FREE and are a real valuable tool in looking for a new opportunity. The great thing about online job boards is that they can work for you in two different ways. Not only can you search for jobs and apply for them with the click of a button, but you can also be noticed by prospective employers & agencies too. Currently Indeed and Reed are among the best out there. Employers use social media pretty much as standard now in the recruitment process. It’is therefore, important to make sure your profiles look respectable and that there is nothing on there to overly put an employer off! All employers or sectors are different and will demand differing things. Some hire on personality while qualifications may be important to others. One thing that is usually sort-after is that big buzzword, EXPERIENCE. A recent survey found that 80% of employers want entry-level candidates to have relevant, real-life work experience. Now as a graduate, generally experience is not something you are necessarily going to have buckets loads of. Therefore, don’t rule out starting a little lower in order to gain that experience and get to where you want to be. The chances are, you are ideally looking for a permanent job to settle into, however while you’re looking, doing a bit of temporary work is good practice for several reasons. First and foremost, it will get you some money coming in. It also shows a proactive side to you, which should impress prospective employers, putting further experience on your CV. Finally, who knows where the temporary work may lead? Impressing in your role may open up further, more permanent opportunities. Searching for work can be very demoralizing and genuinely hard work. The key advice though is to just keep at it. No matter how skilled and employable you may be, it is rarely easy to find the right job straight away. Prospect Personnel are a recruitment agency in Banbury. We largely deal with full-time jobs in Banbury and the surrounding area. Please give us a call on 01295 817669 to see how we can help you with your job search. Alternatively, check out our latest vacancies here.